Join us for the 2019 Griffin+Spalding Chamber of Commerce Annual Banquet Celebrating 106 years of experience in our community and the milestones and achievements of our members! 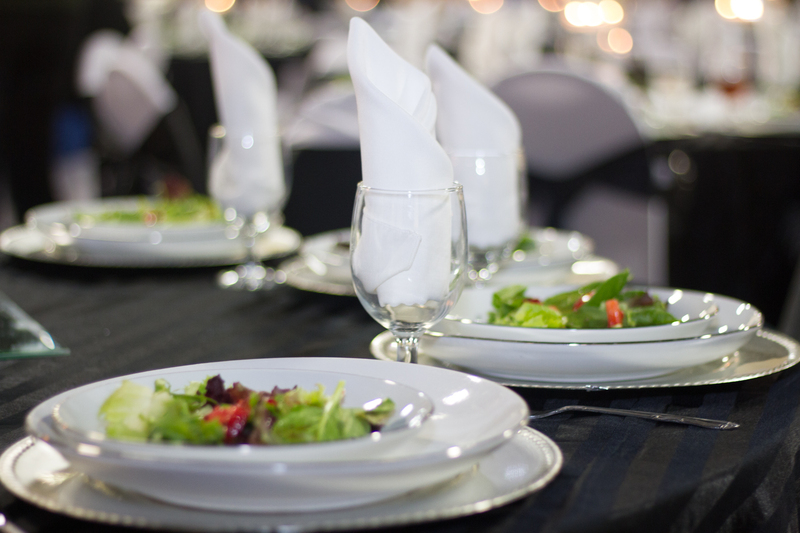 We will dine on a gourmet dinner before celebrating the many successes of our Chamber Members with an Awards Ceremony. The gavel will be passed to the new Chairman and General Griffin 2018 will be announced. Business Formal Attire. Awards will be given out in the following categories: Ambassador of the Year, Corporate Citizen, Member of the Year, Outstanding Citizen, Outstanding Organization and Small Business of the Year. I. AWARD TO OUTSTANDING ORGANIZATION SPONSORED BY FIRST NATIONAL BANK. This award shall be presented to a Community Non-profit Organization that is a member of the Griffin- Spalding Chamber of Commerce for work performed during the past year that has been of benefit to the Community. The nomination of this award must be made by a member of the Chamber of Commerce. The nomination should include: Name of the Organization and entry must be in essay form not to exceed two 8 ½ by 11-inch pages. Supporting addenda must not exceed 5 pages, excluding letter of support. Entry must cover activities and accomplishments of the Organization for the immediate past year and should say how the Community benefited, how many people participated, etc. Entries must be submitted to the Chamber of Commerce Office by December 14, 2018. Judging will be by an outside panel. II. AWARD TO OUTSTANDING CITIZEN FOR COMMUNITY SERVICE SPONSORED BY UNITED BANK. This award shall be presented to an Individual for Outstanding Community Service. The nominees must be a member of the Griffin-Spalding Chamber of Commerce and the nomination made by a Chamber member. Entry must be in essay form not to exceed two 8 ½ by 11 inches pages. Supporting addenda not to exceed 5 pages, excluding letter of support. Entry should include a clear description of all Community service achievements. Entries must be submitted to the Chamber Office by December 14, 2018. Judging will be by an outside panel. Nominations are being accepted from the community for the 2018 General Griffin. Nominations must be submitted in writing to the Chamber of Commerce. Selection is based on the individual’s Spirit of Community and contributions made throughout the year. This individual would represent Griffin and the Chamber at various community events throughout 2019. This award will be presented to a Manufacturer/Business member of the Griffin/Spalding Chamber of Commerce with 16 or more employees, which has exhibited through employee involvement and company contributions, a commitment to make meaningful improvements in the quality of life for all in Griffin/Spalding County. The nomination must be made by a Chamber member. The nomination must be in essay form not to exceed two 8 ½ by 11-inch pages. Supporting addenda not to exceed 5 pages, exclusive of the letter of support. Entries must be submitted to the Chamber Office by December 14, 2018. Judging will be by an outside panel.